Admission to the doctoral programme at the University of Klagenfurt is subject to the completion of a relevant Diploma or Master’s programme at a recognised post-secondary educational institution. Processing time depends upon your chosen thesis area. Certificates of completion (if you’ve completed a Master’s degree, Bachelor’s documents are also required). Non-EU or EEA citizens must provide an eligibility letter in accordance with § 65 (2) of the Universities Act. A template “Nachweis der besonderen Universitätsreife/eligibility letter” can be found in German here and in English here. If supervision is to be provided in German, at the time of application applicants with a first language other than German must demonstrate German language ability at level A2 in accordance with the Common European Framework of Reference for Languages. Course certificates at level A2/b from the intensive German course or German as a Foreign/Second Language course offered at the ‘Deutsch In Österreich’ (German in Austria) language centre at Alpen-Adria-Universität Klagenfurt. EU and EEA citizens can apply for admission at any time. However, they can only register on a programme during the prescribed admission period. A special admission period applies to non-EU or EEA citizens: Requests for admission during the summer semester must be submitted in full by 5 February; the deadline for requests for admission during the winter semester is 5 September. Requests are usually processed within 2 months. All documents must be provided as originals or notarised copies. However, the original copy of the eligibility letter must be provided. Overseas documents and translations thereof must be notarised. English or German translations are required if the documents have been issued in another language. 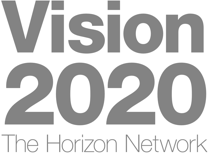 Information about the regulations on certification can be found here. For thesis areas not in English, students must provide proof of German language ability at level B2 of the Common European Framework of Reference for Languages. Information on accepted proof can be found in the rectorate’s regulations on the proof of German language requirements for degree programme admissions. This requirement is waived if the supervisor confirms in their provisional letter of support that the entire doctoral programme can be delivered in English. You look for a supervisor and obtain a provisional confirmation of support. You gather the required documents and submit an application for your desired doctoral programme either in person or by post to the Admissions and Examinations Office. If your application is approved, you will receive an acceptance letter by post. If you have already studied at AAU, please come to the Admissions and Examinations Office with your acceptance letter, an official photographic identity document and a completed Student Data Sheet. If you have never studied at AAU, please complete the online application before coming to the Admissions and Examinations Office with your acceptance letter and valid passport. The online application is available to doctoral students up until the end of the extension period (30 November in the winter semester or 30 April in the summer semester).  The current admission periods for Alpen-Adria-Universität Klagenfurt can be found in the academic calendar. Do you have any more questions about admissions?